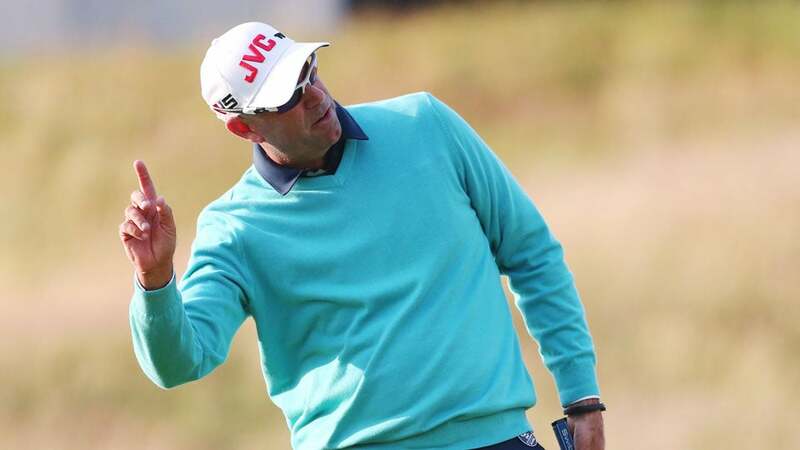 On the PGA Tour, Stewart Cink generally isn't trying to sink putts so other people make money. Cink also rarely faces a green big enough to accomodate a 94-foot attempt. And even the fastest greens in the world aren't as slick as what he faced Tuesday night in Atlanta. Cink, returning to his alma mater Georgia Tech, sunk an incredible 94-foot putt across the length of a basketball court to help a fifth-year student win $25,000. Good thing for that kid, Cink has made big putts in front of thousands of people before. Cink vowed on Twitter to only use the same Georgia Tech logo ball from now on because apparently it goes in from 94 feet.